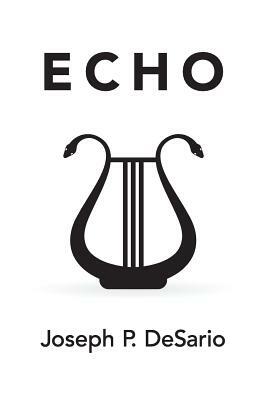 "Echo" is the long-awaited first novel written by Joseph P. DeSario since "Sanctuary" came out in 1989. Prescott Conservatory is an elite but notoriously peculiar music school located in the murky north woods of Michigan's Upper Peninsula. Atop the portico of the concert hall is an ancient bronze of Orpheus, the Greek god whose music charmed wild beasts. But Orpheus is empty-handed. He is without his lyre, his instrument of power. Freshman violinist Jacy finds the lyre of Orpheus and discovers the true power of music through its mysterious liberating energy, the echo-an ancient, unrelenting sound that releases the talent and the passion she carries inside. Ultimately, Jacy confronts the dark side of the echo when it unleashes forces caged within all instruments that have been crafted from the remains of plants and animals. She finds that gods can be demons and paradise can be hell. "A quarter-century after the unforgettable "Sanctuary," DeSario hasn't lost a step. If anything, he's better than ever: "Echo" is whip-smart, delightfully weird, and unexpectedly horrifying. It's one of the best genre-benders I've ever read." - Daniel Kraus, author of "The Death and Life of Zebulon Finch"